Bristol, North Somerset and South Gloucestershire Clinical Commissioning Group (CCG) is responsible for making the best use of the NHS budget allocated to us for our population’s health services. Unfortunately, the demand for these services is always greater than the money available, so we have to prioritise the use of funds carefully. To help us do this, we use national and local policies to ensure that the treatments, operations or drugs we commission have a proven benefit in meeting the health needs of the population. This means we will not routinely fund treatments, drugs or operations that provide only limited benefit. Nor will we routinely fund unusual or uncommon treatments. These treatments are published in our Individual Funding Requests Directory. 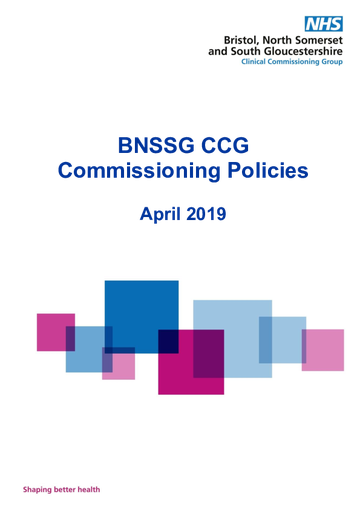 This document provides a list of all Commissioning Policies with integrated web-links and policy and application version numbers. 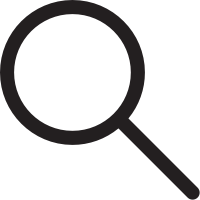 you meet certain clinical criteria and are therefore eligible for Criteria Based Access (CBA) or Prior Approval (PA) funding. there is evidence that your circumstances are exceptional compared with those of other patients – in which case you may be eligible for individual funding. What is a Criteria Based Access or Prior Approval request? you meet the clinical criteria in the policies outlined in the Individual Funding Requests Directory. the condition is significantly impairing your life and you are unable to carry out routine activities, such as work or caring for others. Any drug that is not listed on the Formulary website is considered Non-Formulary and therefore not appropriate for routine prescribing. If there is a particular drug that a clinician wishes to prescribe for a cohort of patients then a New Pharmaceutical Drug Request form should be completed and submitted to the Joint Formulary Group (JFG) for consideration. However, there will be individual cases when deviation from the Formulary is clinically necessary. In these cases, where exceptionality can be shown, that is, where there is not a cohort of patients with the same condition who would benefit equally from this medication, an IFR Drug Application form should be completed for consideration by the relevant IFR Panel. For further advice in Primary Care please contact your local CCG Head of Medicines Management or, in Secondary Care, your local Acute Hospital Trust Director of Pharmacy. Since 1 April 2013, a number of interventions which were previously commissioned by the CCG transferred to NHS England. This includes Bariatric Surgery for children (surgical procedures and associated care), Bone Anchored Hearing Aids (now known as Bone Conduction Hearing Implants), Penile Prosthesis and Hyperbaric Oxygen Therapy. For the majority of NHS England policies it is the responsibility of the hospital consultant to apply for funding electronically via the Blueteq system. If you do not have access to this system, Individual Funding Requests must be completed on separate NHS England forms. These can be downloaded from: NHS England Key Documents Please send to: england.ifr@nhs.net with IFR South in the subject box. If you wish to discuss any aspect of the NHS England process, please call the Specialised Commissioning Team on: 0113 824 9927. NHS England is also responsible for Specialist Dental Treatment. Please use the NHS England Individual Funding Request form to make a request and send to the South West Team at: england.swdental@nhs.net If you wish to speak to the Dental Team directly please call: 0113 824 8820. See also the latest list and details of NHS England Specialised Commissioning policies on the Manual for Prescribed Specialised Services 2017/18.